Every responsible vehicle owner is aware and mindful that car components do and will require periodic repair or maintenance. As time passes, components may even begin to wear out or malfunction. This can make it difficult for you to drive your car or leverage optimal performance. Eventually, the parts may require replacement too. This is where professional tire repair service will come in handy. Every vehicle has specific tire requirements. Of course, you may customize the sizes or wheels. However, for many, choosing the original option is the best choice. Visiting a professional Tire Repair/Replacement Service means you get the perfect replacement for your tires. The tires will have the perfect width, height, and tread depth. This means your car will have the best tires according to its speed rating and size. This ensures you leverage optimal performance. If you are interested in changing your tire size, a professional Tire Repair Service can get the job done for you. 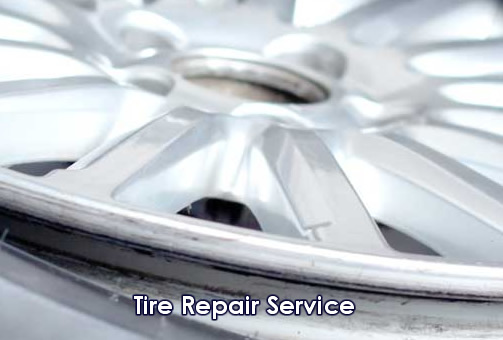 These tire specialists have years of experience in replacement. They also understand the different sizes that could work better in delivering excellent handling, good braking, and remarkable maneuvering. They can ensure you get high-performance tires that deliver brilliant grip in almost all types of weather, also helping you save money. Replacing a tire doesn’t simply mean taking one tire out and getting another one to take its place. Professional Tire Repair Service will ensure that the pressure is correct, reducing the risk of blowouts. They will also align and balance your wheels, as unbalanced wheels can cause severe mechanical damage to your car. Misalignment can also result in serious accidents at high speeds. Apart from this, they will guarantee the functionality of the tires and your safety. By purchasing new tires from a renowned name, you can also leverage product warranty. Therefore, if you want to receive the benefits mentioned above, consider having your tires replaced by a professional tire repair service like Penn Valley Auto Services.